When Dr Mahathir Mohamad touched down inChina last month, the China he was visiting was a vastly different one than theone he visited in 1985. 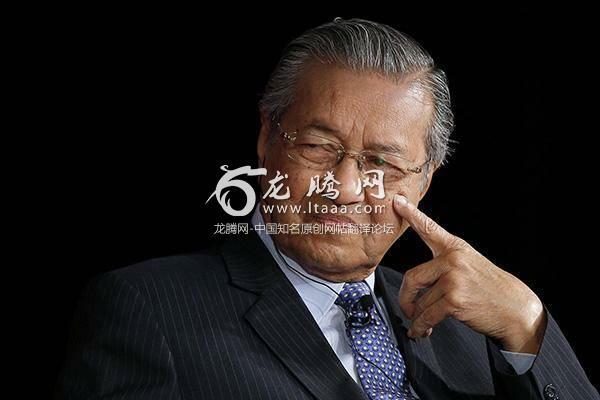 And Mahathir himself was visiting as prime minister ofa very different Malaysia. While China had been propelling itself tosuperpower status, Malaysia was earning for itself the dubious distinction ofthe world’s greatest kleptocracy. squabbles. We allowedrace and religion to divide us to such an extent that it has kept our nation fromachieving its true potential. Today, China and India supply almost halfthe global science and engineering bachelor’s degrees, a stunning achievementby any measure. As a result of qualitative advances in itseducation system, China has made a huge technological leap forward and is nowclosing the gap with major industrial nations. Already, 9 out of the top 20tech giants in the world are Chinese. Last year, China launched its firstcommercial jetliner and began the sea trials of its first home-made aircraftcarrier. It is now in an advanced stage of preparation to launch its secondspace station which is expected to be fully operational by the year 2022. In the transportation sector, in those same33 years, China went from having an out-dated and dilapidated railway networkto having the biggest high-speed railway network in the world. Two-thirds ofthe world’s high-speed rail tracks in commercial service are in China. The Shanghai Meglev train is also thefastest commercial high-speed magnetic levitation train in the world. In 1985, China had what can only be calleda primitive financial system. Foreigners were forbidden to even possess thelocal currency, the renminbi, and had to use, instead, foreign exchangecertificates which were limited to a few stores and hotels. Today, the Chinese credit card company,China Union Pay, headquartered in Shanghai, is the third largest paymentnetwork by value of transactions processed behind Visa and Mastercard and isaccepted in 162 countries. In 1985, China was struggling to raisedevelopment loans; today it lends billions to other developing countries(including our own) and has founded its own development bank, the AsianInfrastructure Development Bank. From a closed inward-looking nation, Chinain 33 years expanded its horizons to cover the globe. Africa is now beingcalled China’s “second continent” given the number of Chinese settlers, farmsand industries on the African continent. As I remarked in an earlier article,standing on the 66th floor of the Park Hyatt Beijing last year and looking outacross the city, I couldn’t help thinking that I was looking out at the newcapital of the world, the new Rome of quite possibly the world’s next greatempire.